The Cure For Water Withdrawals! Now that the days are shorter, and the weather is getting colder, most boat and water-sports enthusiasts will hang up their skis and winterize their boat until next summer. We always marvel at how quickly the summer comes and goes but we’ve found our time on the water can be extended through the quickly expanding sport of paddle boarding. Do you like to have fun and stay in shape? Paddle Boarding is a good hybrid between kayaking and surfing that works out your whole body while you enjoy the pleasures of being out on the water. It not only helps with balance by strengthening your core, but it also improves cardio, and helps with flexibility. 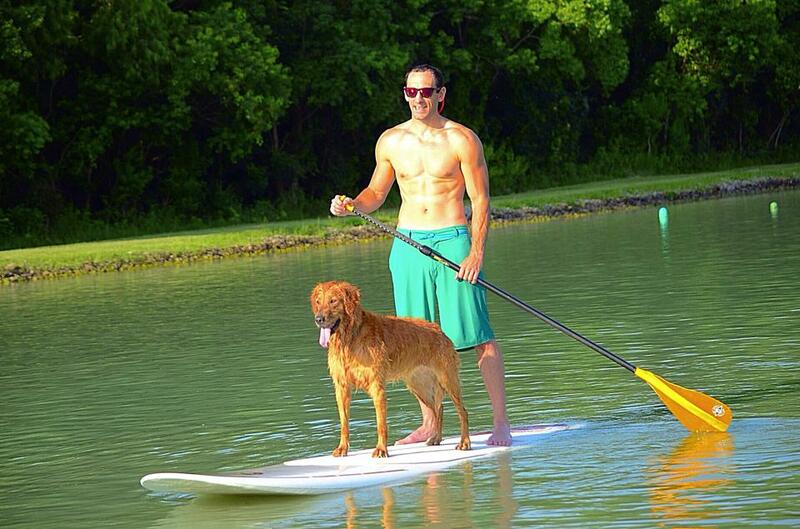 The best part about SUP (Stand Up Paddle Boarding) is that you don’t need to be a huge fitness buff to enjoy it. SUP is a great sport for people of all abilities from beginners to advanced because you don’t need waves to paddle around. Winter and spring will fly by and you will find yourself back in the heat of summer using your stand up board behind your boat surfing. During the winter months, it is important to keep in mind a few things so that you can always stay dry and warm. Using the right clothing is very important. If you are going to be working hard and sweating while on the paddle board you want to keep an extra jacket handy in the car so that when you get done you can keep warm on the way home. Many people wear neoprene wet-suits to keep warm in the water in case of an accidental swan dive. Wet suits are a good idea to keep in mind while first getting started. We always encourage people to wear life jackets while paddling, they also help to keep you warm while out of the water. Once you get comfortable on your SUP Board, you can compete in many different events such as sprints, cross-country and other types of races. 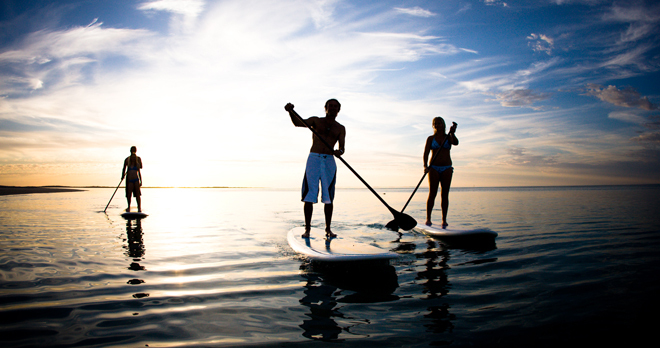 Come by Memphis Boat Center and Pick up or order the Best paddle boards on the market offered by Slingshot Sports!